The aerospace company say the new facility will be completed by December 2017. Jeff Bezos, founder of Amazon.com and spaceflight company Blue Origin has discussed its plans to expand its rocket factory that will be big enough to house the space to build, process, integrate and test rockets in preparation for orbiting. The land on which the factory is being built is around 750,000 square foot giving enough space to test its rockets, however the engines will still be manufactured elsewhere in Kent until a larger engine production site has been chosen to house the planned higher production rates according to Christian Science Monitor. 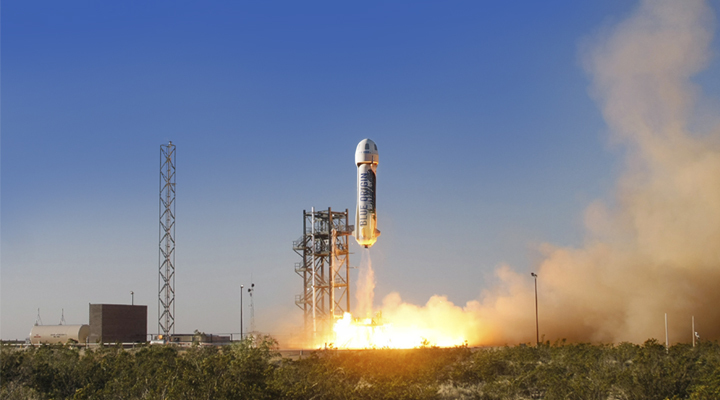 Blue Origin recently successfully launched its New Shepherd rocket for a short suborbital trip – this is designed for taking ‘tourists’ up into space in the future but Bezos will also sell space on the rocket for scientific experiments. At the moment, the aerospace manufacturing company has only focused on suborbital spacecraft but with the new, larger factory, they will focus on more difficult orbital flights. Up until now, Blue Origin has been somewhat secretive about its production and testing facilities but the new announcement for its Florida location has forced the company to open up about their plans and goals in space exploration. Competitors such as SpaceX will be interested to find out more about what Blue Origin is planning as they too are producing rockets for orbital flights. The factory is due to be completed by December next year.